At the conclusion of the grand finale of Miss Guatemala World 2017 hosted by Miss Guatemala 2002, Karina Velásquez, Elizabeth Gramajo was crowned as Miss Guatemala World 2017 and she will now represent Guatemala in the Miss World 2018 pageant to be held next year. She will succeed Miss Guatemala Mundo 2017, Lisbeth Gómez and was crowned by Miss Guatemala 2016 Melanie Espina. All the candidates dazzled the audience with a spectacular dance performance accompanied by outgoing queen Melanie Espina. At the same event, Gabriela Castillo crowned as Miss International Guatemala 2018 and she will represent her country in the Miss International 2018 pageant. 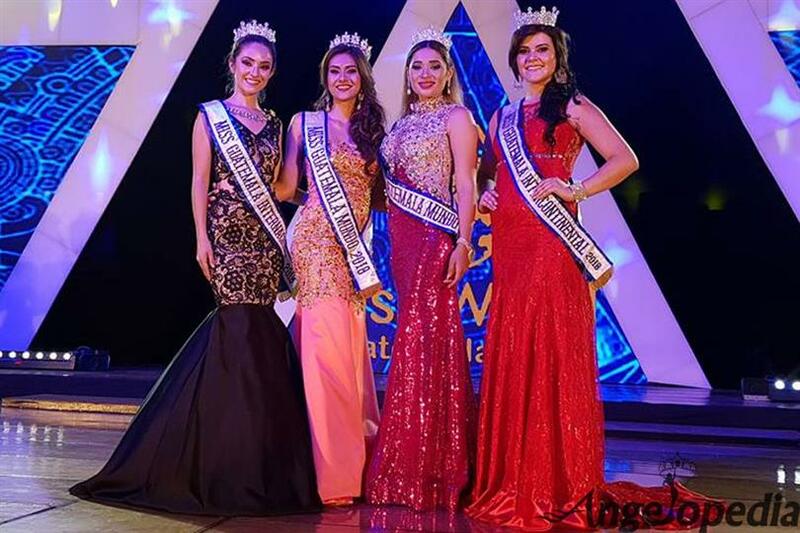 Yasmin Alvarado crowned as Miss Intercontinental 2018 and she will now represent Guatemala in the Miss Intercontinental 2018 pageant to be held next year and Lisbeth Gómez crowned as Miss Guatemala World 2017 who will compete in Miss World 2017 pageant. Elizabeth is 21 years of age and pursuing her graduation in psychology. She bested 13 other candidates to clinch the coveted crown of Miss Guatemala Mundo 2018. On winning the title Elizabeth said, “I feel very happy and grateful to all the people who have always supported me. I'm going to put the name of Guatemala very high. I still cannot believe I won.